Leanda's new book is now available worldwide on Amazon, Kindle, and select booksellers. At age 12, a difficult and beautiful wake-up call from Spirit offered Leanda Rae the journey of a lifetime. This is her travel diary–the "who, where and why" of her life-long journey into mediumship and how she learned to communicate and work with those in the spirit world. The author shares with you her humorous and unexpected encounters with playful spirits, and the joys, frustrations and awe-inspiring experiences of the journey. Learn about the loving comfort and healing that our loved ones and unseen helpers can bring. Learn how you can, without fear, start your own journey to develop your own psychic senses and connections with Spirit, Angels, and more. Discover the wonderful love of Spirit that is for you—and with you—always. 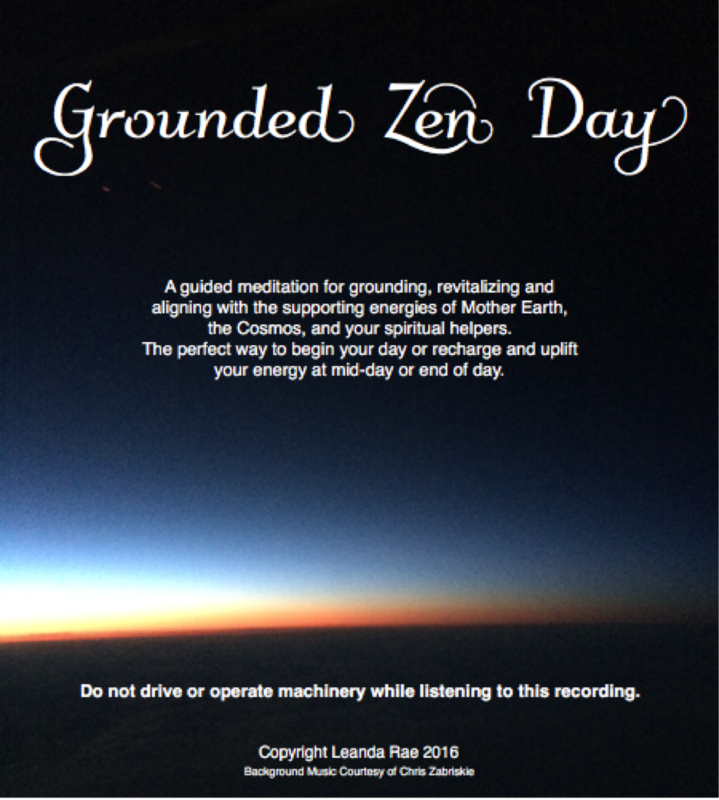 Enjoy this short guided meditation any time you wish to ground, center and re-balance your energies. Click on the image to download or listen.